Need some salad inspiration? 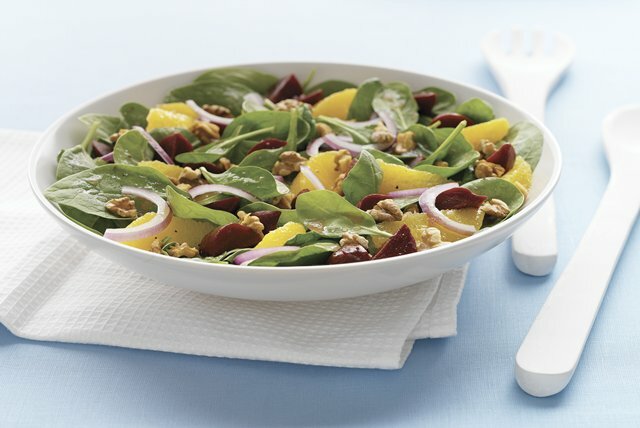 Toss baby spinach with beets, oranges, red onions and toasted walnuts. Drizzle with our raspberry dressing and you have a salad to be proud of. Add dressing; mix lightly. Serve immediately. Substitute pecan pieces or pine nuts for the walnuts. Complement your meal with this sophisticated side-dish salad. As a bonus, the spinach is an excellent source of vitamin A and the oranges are an excellent source of vitamin C.